Our last fever was Saturday morning at 8 a.m. Annabelle had a great weekend! Until this afternoon. It was a low grade fever, but she got a little irritable, her lungs were wetter, she was coughing more, her heart rate was up, she was breathing fast, and her little belly was retracting, all of which are not stellar signs. She’s a little better now after Tylenol and extra diuretics, but I can tell she’s still not feeling her best. although she’s playing with her toys now, so that is a good sign! There’s a possibility we will go downstairs to IR and get a new PICC line tomorrow… they got it working today after a while of working with it, but it’s always been sluggish, so if they have any issues with it this evening or overnight, we will get a new one tomorrow. We are on the schedule just in case. So yes, Annabelle needs some prayers tonight. This may just be something little that she gets over quickly, but every time I wonder… is this the time she gets worse and won’t get better? I know… I’m supposed to be optimistic. I’m not supposed to fear or worry. I’m trying, I’m praying. But I’m not perfect either, and the thoughts do come. GEEZ I sound depressing today! I feel like we need to play a rousing game of duck-duck-goose or something to get some giggles going. Ohhh, yes, let’s play a game! In the spirit of making people smile (because laughter IS good medicine…) if you’re game, put something fun, good, positive, or silly in the comment section. I don’t care if it is a stupid joke, something funny that happened to you today, a praise, or whatever, just something HAPPY! To make you laugh: Because you are a mother, I know you will appreciate this. I just put Hannah and Caleb to bed, and came downstairs to check out the blog-o-sphere. I sat down and felt something on the side of my face. I looked at it and it was a booger form when Hannah gave me her nightly "big kiss." nice. My middle daughter has had some hysterical one liners lately. My eldest asked her what something said and my middle one replied, " it says p.s. you can't have any" It was kind of sassy, but so unexpected coming from a 3 year old that we couldn't help but laugh. I hope that Annabelle starts feeling better quickly! 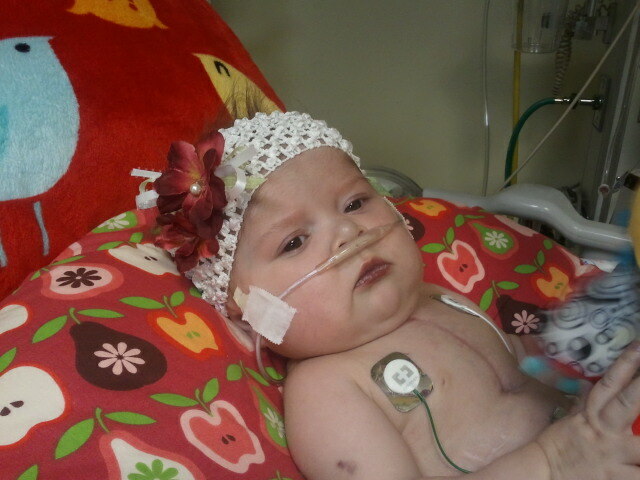 praying for Annabelle and the fevers to go away! For your something funny…one day my husband was teasing our middle child (she was about 5 or 6) about her PB&J…pretending to eat part of it. She looked at him and said with a dead pan face, "I licked that." There was a substitute bus driver last week and Isaac got off the bus and said "she needs to go to prison because she was yelling and doesn't know how to talk to kids." My friend is expecting and has a 4yo little boy, he thinks she is going to give birth to a puppy. What did Annabelle do? She was quiet and demure, a perfect angel, the whole time. I swear she looked at me and was like, "HA! You feel stupid now, don't ya mom?" Krista, my girls are 21 and 23 and I still get a sick feeling in the pit of my stomach if they're unwell. Just one of the perks of being mom. I will upp the prayers for Annabelle tonight. Here's a little something – I was trying to use my desire for an iPhone as a way of explaining our modern idols to a group of 4th graders. I was trying to explain why, although I wanted one, I didn't need it and really needed to resist if I wanted to be true to the spirit of the 1st Commandment. I guess I wasn't clear enough because one girl raised her hand and said (in her best sad voice), "You can't afford it?" I could almost hear her volunteering to take up a collection. Then her friend responded, "No, she can afford it. She just doesn't need it. She wants it, but doesn't need it so she's saying wanting things like that is like worshiping a false idol." I think the lesson worked better in my head than in reality, but the one girl got what I meant. Not really a laugh, but a sweet moment. Stephanie… very nice! My kiddos have funny bus stories too! My favorite is when my daughter came home telling me about how a boy got in trouble for saying the S word. I was like… oh no, here it starts. Then she says, "MmmHmmm… he said the word *whisper* stupid"
Next week, same thing, except the D word. I asked her if she knew what the D word was, and she said, "It's a really bad word Mommy. *whisper* dumb." Ah, I wish it would stay this way! Hopefully this makes you laugh, my sense of humor tends to be hit or miss. My dog head butted me in the face earlier. He is just so cute and adorable all he had to do is bat this little eye lashes at me and all was forgiven. Then I walked into the bathroom and saw the bruise forming on my cheekbone. I have followed your story of your sweet baby girl for several months. I have been and will continue to be in constant prayer for your entire family. I teach Kindergarten but was moved to third grade to help with state testing. Today was my first day and some of the kindergarten students saw me and asked me why I was in third grade. To this question on of my third graders responded, "Well, she is growing up!!!" We have been praying for you, Annabelle and the rest of your family. I come here every day to check on ya! We continue to pray and stand with you in spirit. Then boys have gotten in the habit of having "joke night" with daddy and come up with the silliest jokes. A couple of good ones from tonight…. I know silly and cheese but you should hear them crack up! You know we're praying for y'all…. Okay, here's my joke. It's the only joke I can tell because I'm BAD at telling jokes. What goes, "Clop. Clop. Clop. Clop. BANG!!! BANG!!! Clopclopclopclop…?" An Amish drive-by shooting! BWAAAAHAHAHAHA!!!! Prayers for you and Annabelle! When he heard I didn't have a husband he asked me, "Miss, who buys your clothes for you?" To make it even "worse", when I explained to him I bought my own clothes he asked me where I got the money. I told him I earned my money. He looked very surprised and asked the million dollar question, "Miss, you have a job????" Okay, here's a funny one my boss was sharing at work today. A lady figured out why she has extra weight in her hips that she just can't lose. When she showers, she uses the lather from shampooing her hair to wash her body. But then she read the shampoo bottle and saw that it said it was for "extra volume and body" What a shock! So from now on, the lady is going to shower with dish washing detergent because it advertises that it "Washes away fat that's difficult to remove"! First – I am praying for your family – a lot. I am pregnant (30 weeks with my 3rd little girl) My oldest, 3, like to lift my shirt and pat and talk to the baby in mama's belly. Last week she said, "Mama, your tummy is getting a lot of lines on it." Gee, thanks Tessa! "Yes, sometimes when mama's have a baby in their belly the belly can get some lines." "Yeah," she said. "Your tummy is getting REALLLLLLY big." Praying for that fever to be gone! Jesus spoke to a fever and cast it out of Peter's mil: I will do the same! I had an embarassing moment when I went for foot surgery last week and realized I hadn't shaved my legs… in weeks! Dr. probably thought he was operating on a she-bear! Oh goodness, the funnies are flying around your blog today! I've got one. I was pregnant with my second child and was a bridesmaid in my sister's wedding. (my other sister was a bridesmaid and also pregnant)My oldest son was 3 and was the ring bearer. He got antsy and started picking his nose and wiping his boogers on the best man's shoe!!! My sister and I got the giggles…yes, 6-month-pregnant-bellies jiggling beneath our flowers…trying not to pee in our pants…er, dresses (which is difficult when you are very pregnant!) The poor best man just stood like a soldier…stoic, taking it like a real man. Sigh…good times. I'm praying for little Annabelle. May she be fever free and rest well. may say something brilliant at any moment. Wait for it… wait for it… Ah, nope, I got nothin'.